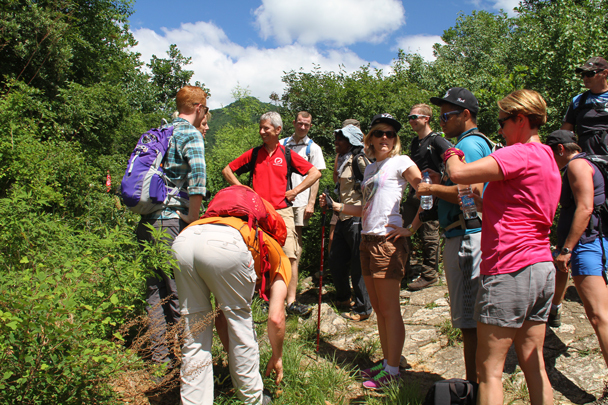 In Brief: Photos from our hike to Nine-Eyes Tower and the Gung Ho! Pizza hut at Jiankou. 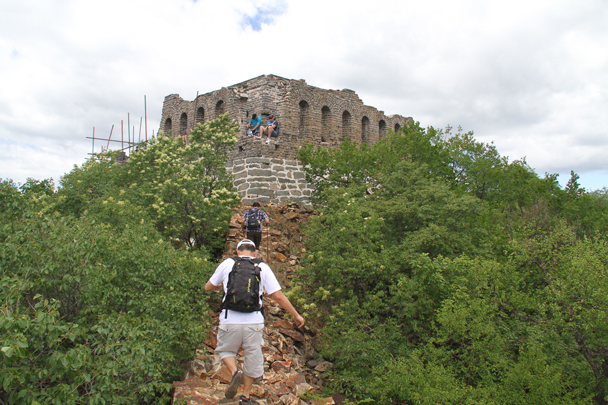 Our Nine-Eyes Tower hike follows a scenic but somewhat rough section of Great Wall at Jiankou. It’s a hike we like to do quite often because of the great views, and once a year we make it extra-special by arranging a special serving of pizza after the hike. 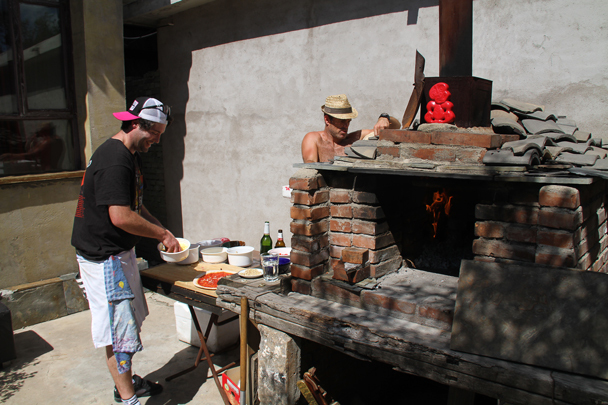 And not just your ordinary pizza – we get fresh, gourmet pizza, cooked in a specially made oven on site. How’s that? Our good friends at Gung Ho! Pizza have a really nice renovated courtyard home out there, and they’re kind enough to make a special arrangement for our hikers. This year it couldn’t have gone much better! 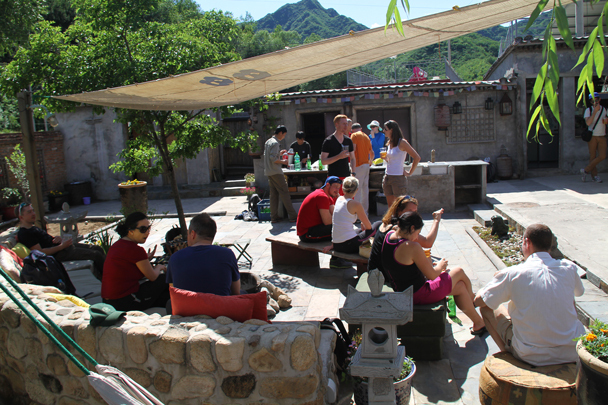 After a big thunderstorm the night before we were left with incredibly clear skies, and weather that was not too hot – perfect for a hike along the Great Wall, and perfect for relaxing in a comfortable courtyard as we ate all their pizza and drank all their beer, even the secret stash hidden out back. Many thanks to Gung Ho! Pizza for the special arrangement. 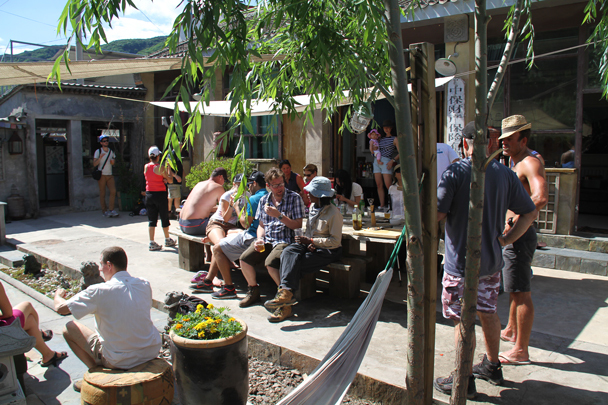 Click here to find out more about Gung Ho! Pizza. 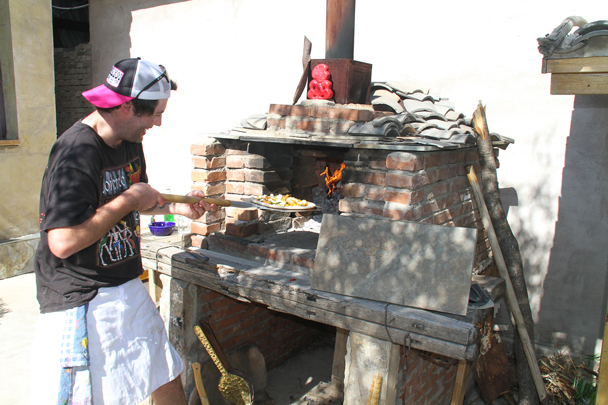 Don't just read about their pizza – you need to try some, as well! Getting ready to start out on the hike. 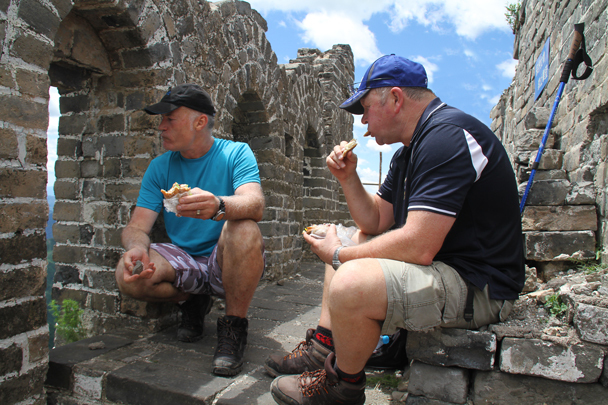 A little break before continuing the climb. Nine-Eyes Tower is sited atop the big hill visible in the background. These rocks are all that’s left of this part of wall. 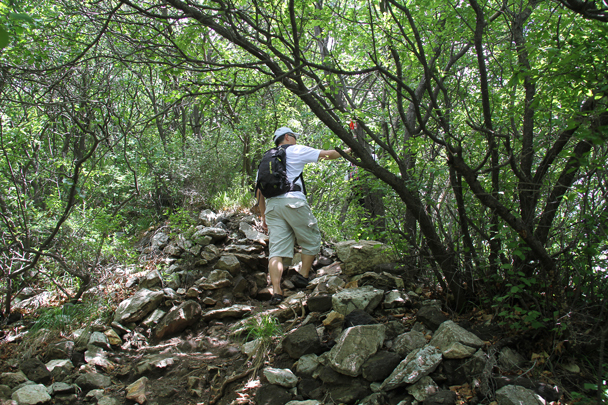 We took a break here before climbing up to the top. 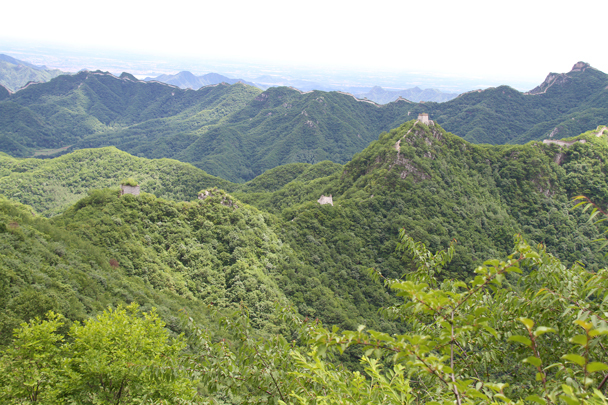 More remnants of the Great Wall, covered by forest. Reaching the Nine-Eyes Tower, which is undergoing a bit of renovation. A good spot for a snack, with great views in front. 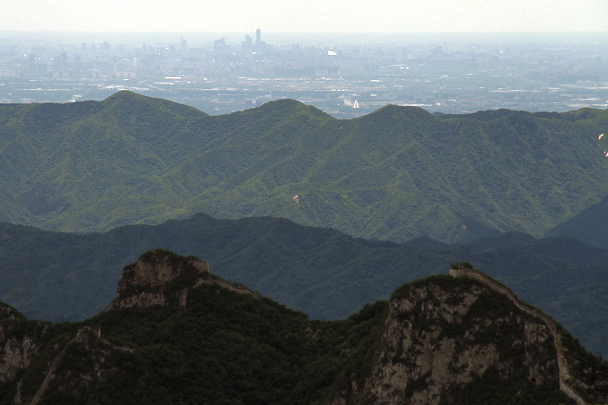 A rare sight – you know it’s a clear day when you can see all the way to Beijing’s CBD from up on the wall, some 60km away. 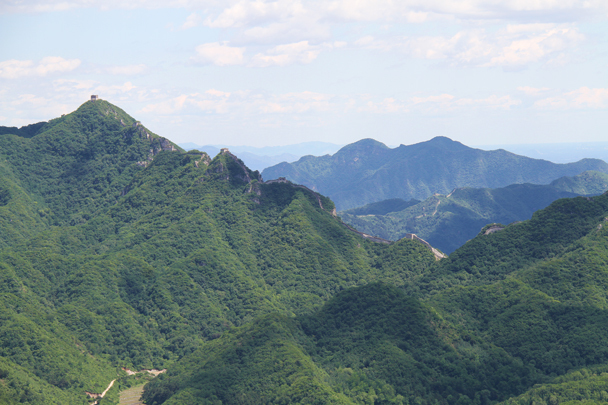 The last part of our hike took us by the towers in the foreground. 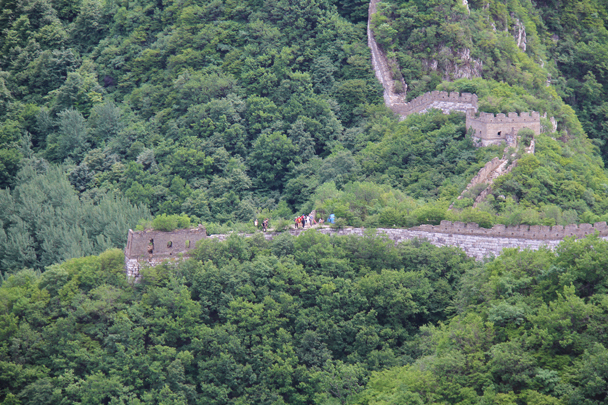 From the towers mentioned in the previous caption, we could see the east side of the Jiankou Great Wall, and through the gap we could see all the way to the Mutianyu Great Wall (about 8km, as the crow flies). 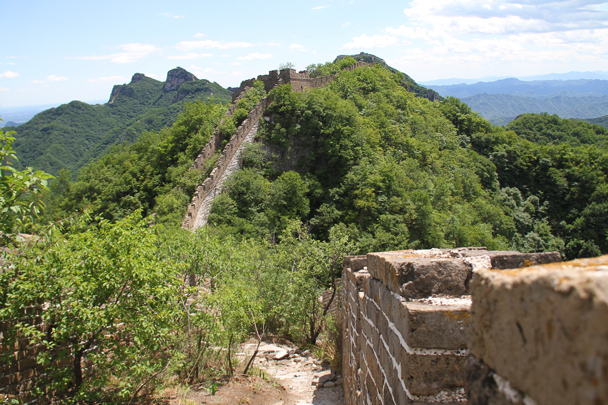 This line of wall was in better condition, with the crenellations and towers still intact. 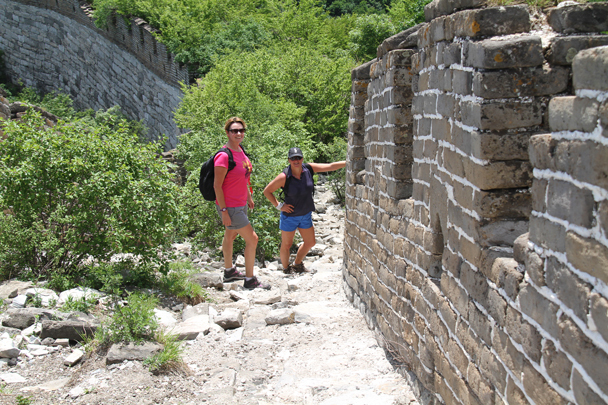 The fast hikers, about to leave the wall and head down to the end of the hike. 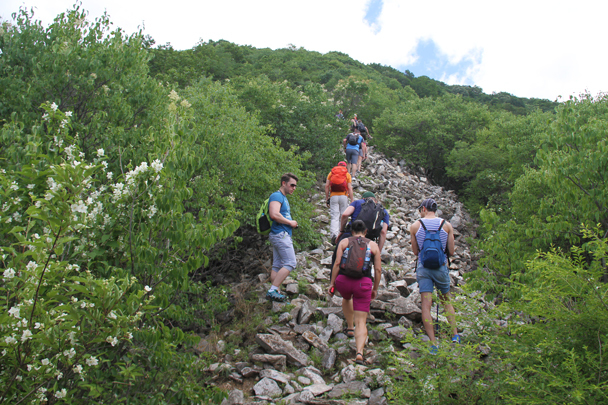 Hikers at the Gung Ho! Hut, enjoying the pizza. 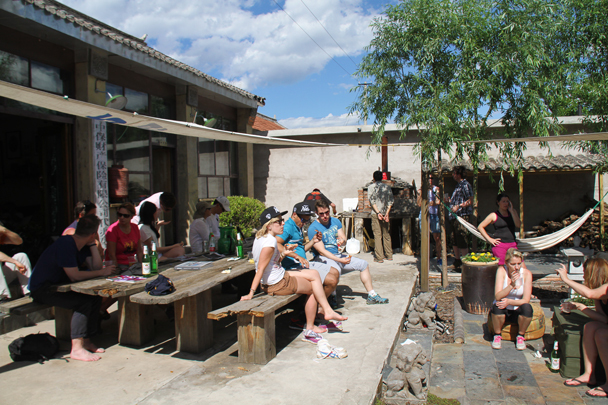 The courtyard was just the place to relax after a hike. The last pizza, going in!